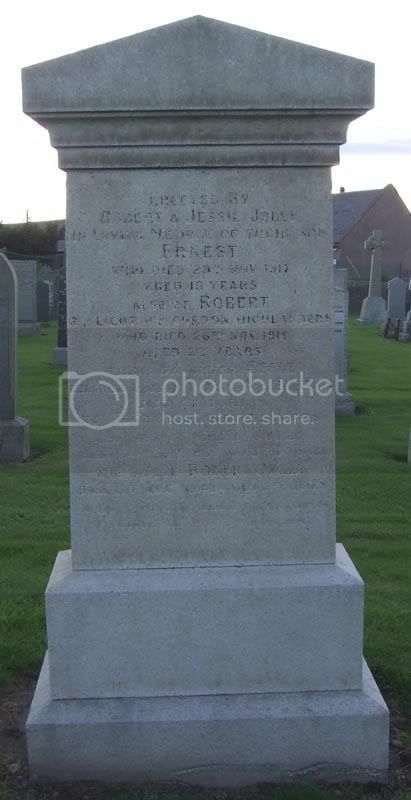 Location Information: St. Cyrus Upper (Parish) Churchyard is situated approximately 600 yards east of St. Cyrus railway station and contains the parish church within its grounds. 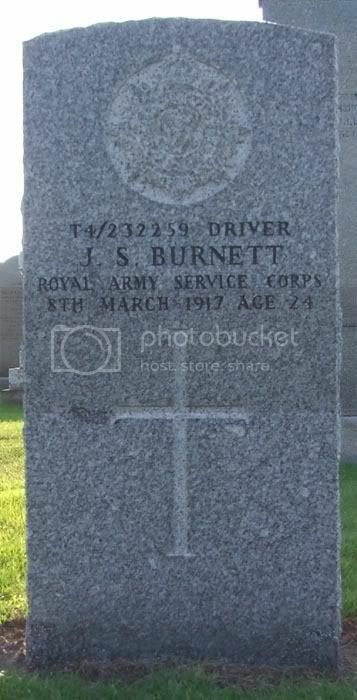 This by the way is the first cemetery in the CWGC database I've photographed that has a cemetery picture included in the database, it has only 3 burials? Unit Text: 821st H.T. Coy. Additional information: Son of Alexander and Emily Shepherd Burnett; husband of Isabella Pert(formerly Burnett), of Tayock Cottages, Montrose. 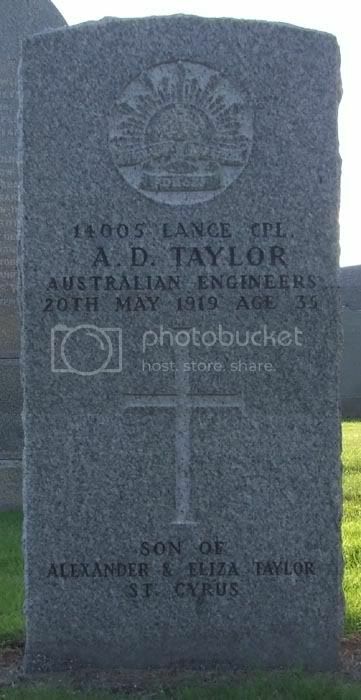 Born at Lauriston. Grave/Memorial Reference: 2A. 3. 2. Unit Text: 14th Field Coy. 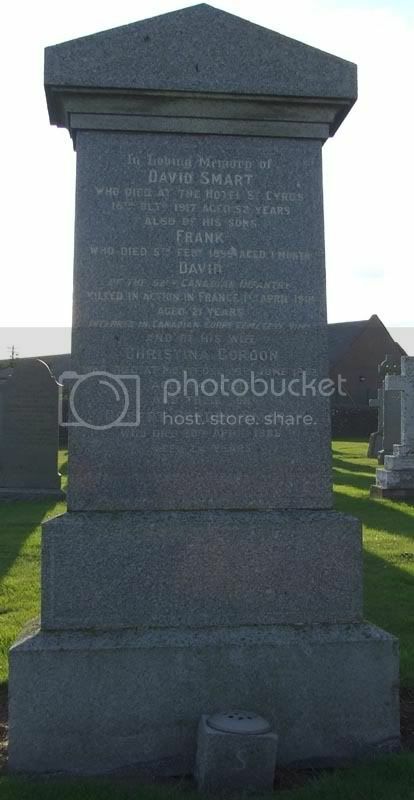 Additional information: Son of Alexander and Elizabeth Taylor, of Coronella, St. Cyrus, Montrose, Scotland. Born in Kincardineshire, Scotland. Grave/Memorial Reference: 2A. 3. 15. 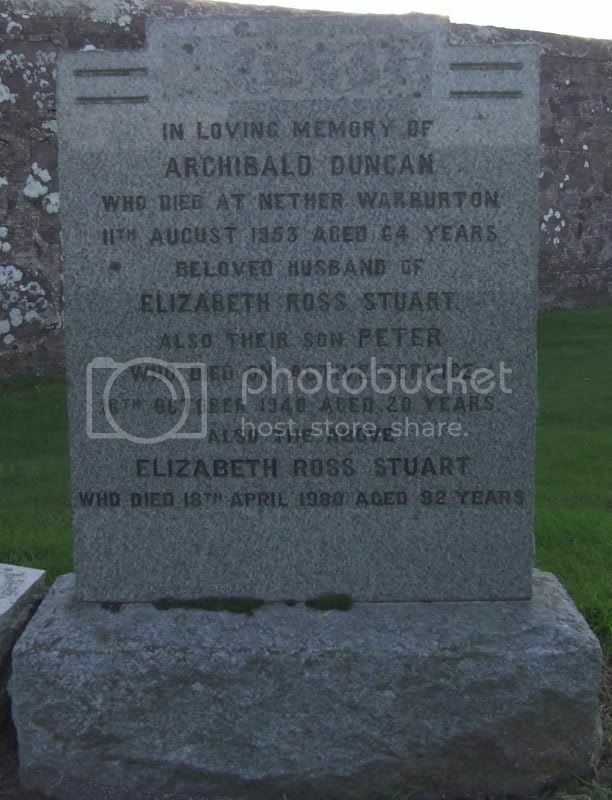 Additional information: Son of Archibald and Elizabeth Ross Duncan, of Montrose, Angus. Grave/Memorial Reference: 7. A. 10. 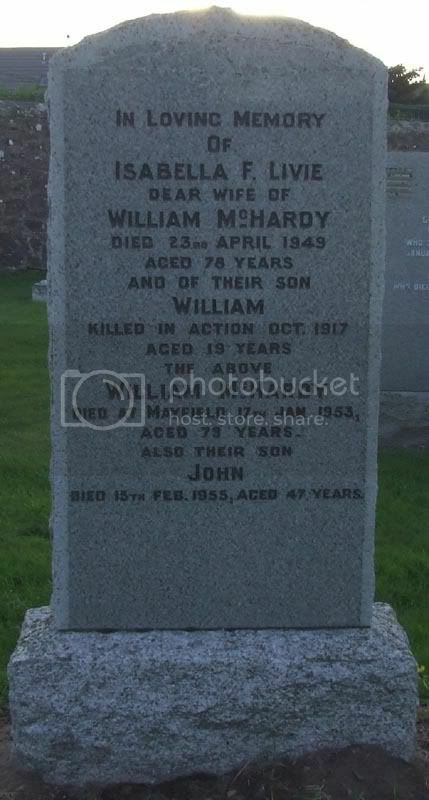 Additional information: Son of William and Isabella McHardy, of Woodstone Fishing Station, St. Cyrus, Kincardineshire. Grave/Memorial Reference: Panel 94 to 96. Additional information: Son of W. and C. Murray, of Laurencekirk. Grave/Memorial Reference: Plot 1. Row B. Grave 6. 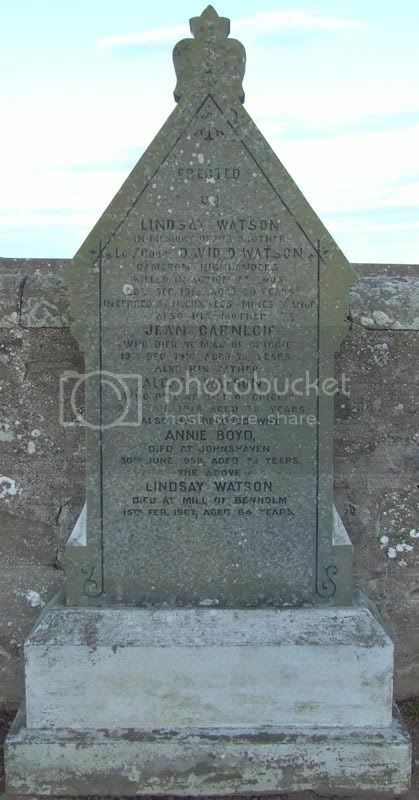 Additional information: Son of Alexander and Jean Watson, of Mill of Criggie, St. Cyrus, Kincardineshire. Marine engineer in employment of Federal Steam Navigation Coy., London. 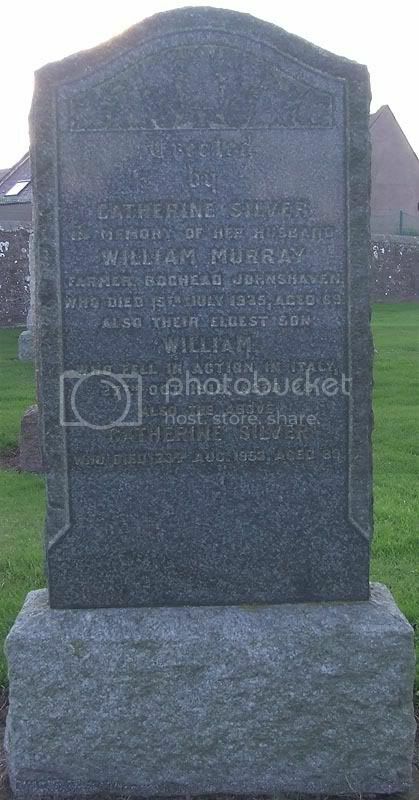 Additional information: Son of the late David Smart and of Mrs. Christina Smart, of St. Cyrus, Montrose, Kincardineshire, Scotland.